Venice Blue maintains a Depth Hypnosis and Shamanic Counseling Practice in person all around the Bay Area and via teleconference everywhere else in the world. She helps clients heal trauma, anxiety, fear, and doubt using Depth Hypnosis techniques and Applied Shamanic practices. These processes enable people to move beyond their conscious structures and allow for rapid, profound change in areas that may have always felt “stuck” or “stagnant.” Clients often experience results on multiple levels: emotional, spiritual, and physical. 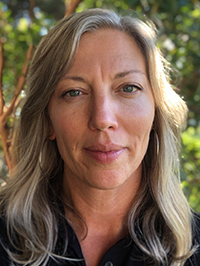 Passionate about personal transformation and dedicated to the path of service, Venice provides a safe and supportive environment for spiritual growth, self-exploration, and healing from within. If you are ready to re-connect with your own inner wisdom and create deep and lasting change in your life, call for a free 15-minute phone consult.